Buy a pass, grab a B-cycle and start pedaling around the city. 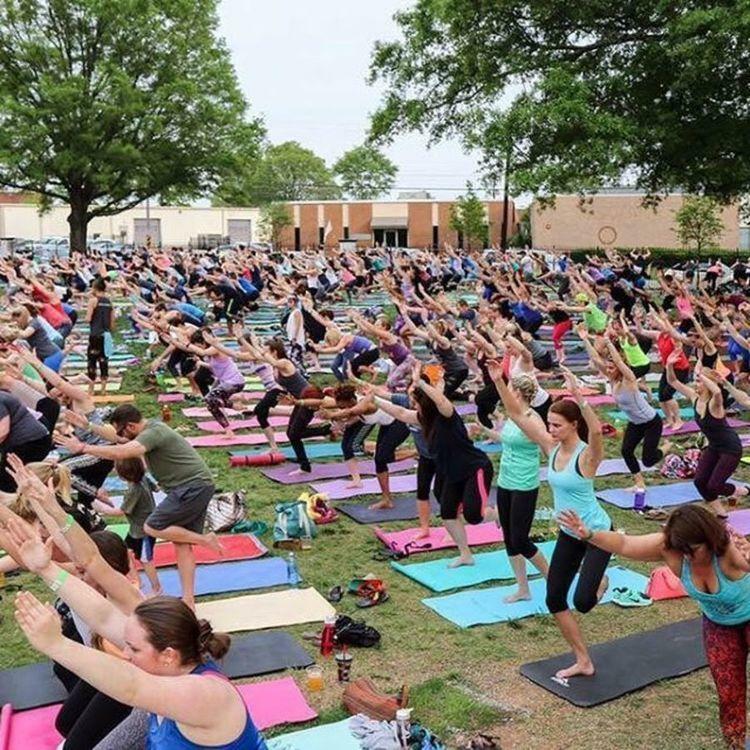 At 24 stations—from Uptown to Freedom Park—and 200 bikes strong, there's no excuse not to explore Charlotte on two wheels. 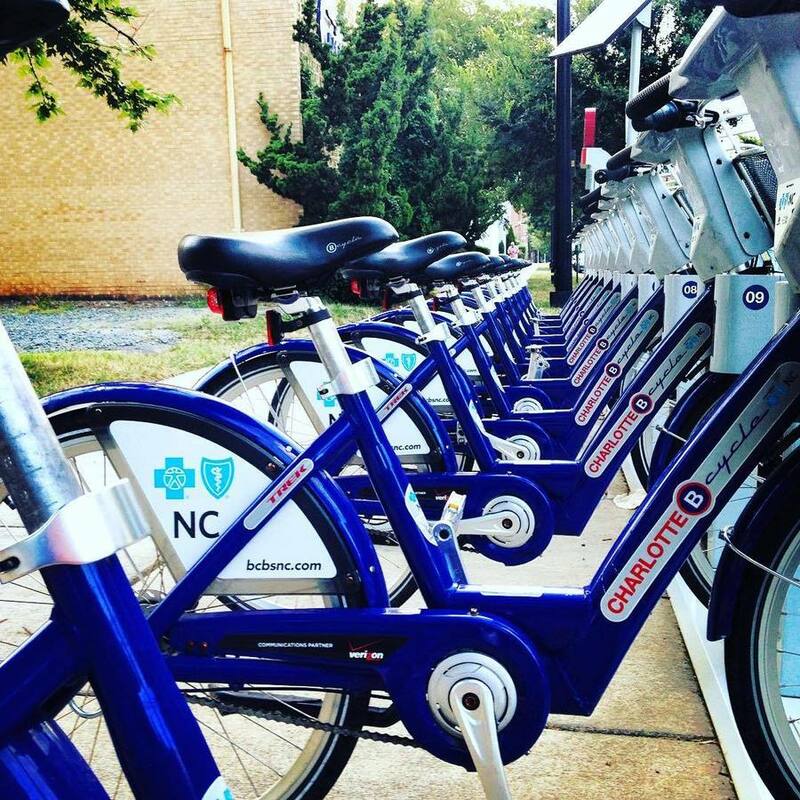 "Charlotte B-cycle is one of the largest urban bike sharing systems in the Southeast. With 200 blue bikes and 24 stations strategically placed throughout Uptown and surrounding neighborhoods from JCSU to Freedom Park, these B-Stations are convenient for your travels around town. It's quick and convenient. You never have to look for a parking space or bring your own bike. Plus, riding a B-cycle is good for you and good for the environment. It's the newest and best way to get around Center City. The B-cycles are specially designed for both you and the city: B-cycles fit people short and tall, thanks to an easy-to-use adjustable seat post. Everybody has stuff – that's why there's a great basket to stow your things while riding. Fenders, skirt guards and chain guards keep your clothes clean. Automatic lights help keep you safe. Three speeds are perfect for Charlotte streets. 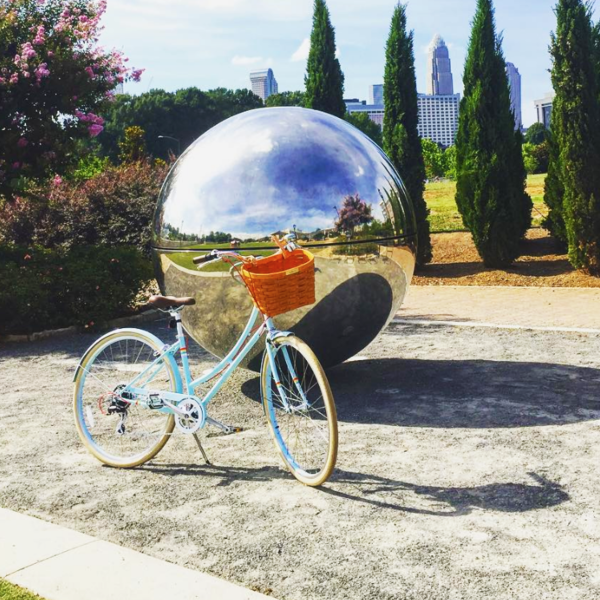 You'll love the cool blue Charlotte B-cycle bikes!